The wind continued to whip around us, but the driving rain stopped long enough to walk the half mile or so back to the "Welcome to Newfoundland" sign. I looked down on her face and Arayo gave me a gentle steady gaze as I told her this amazingly beautiful and mysterious place is where she belongs. This is for her. The land is spotted with lakes, backed by rugged views of oceans and all is protected by rolling hills and mountains. Throughout this, the grasses that cover the land are filled with wild flowers of purples, yellows and white. I've been here but an hour and this stunning land has already captured my soul. I think Arayo understands and feels it is going to be special for her as well. 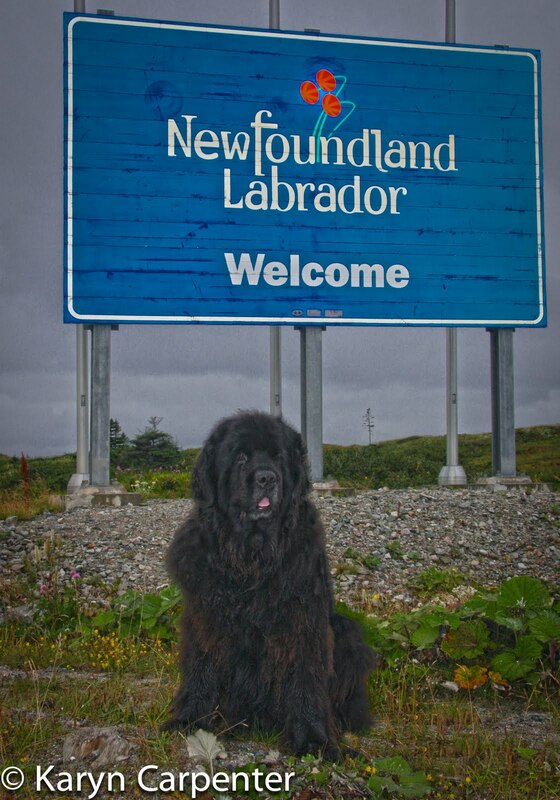 Glad you & Arayo have made it to Newfoundland! LOVE hearing about your travels & adventures :D Can't wait to see more of your pics! Oh, that is soooo exciting - I can't wait to see photos! Enjoy! Newfoundland is special. And Arayo will be very popular. 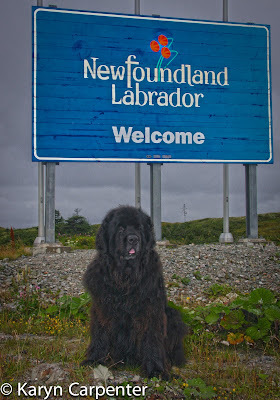 A great trip but I wish there were more photos and that you visit us on the wy back (If you ever leave the Newf island)! I would think by now the moving along would be in your blood - onward to a new adventure! Do it for those of us bound to the land.